The work of 120 Chicago artists is on display on the city's North Side this weekend for the 3rd annual Edgewater Fall Art Fair. 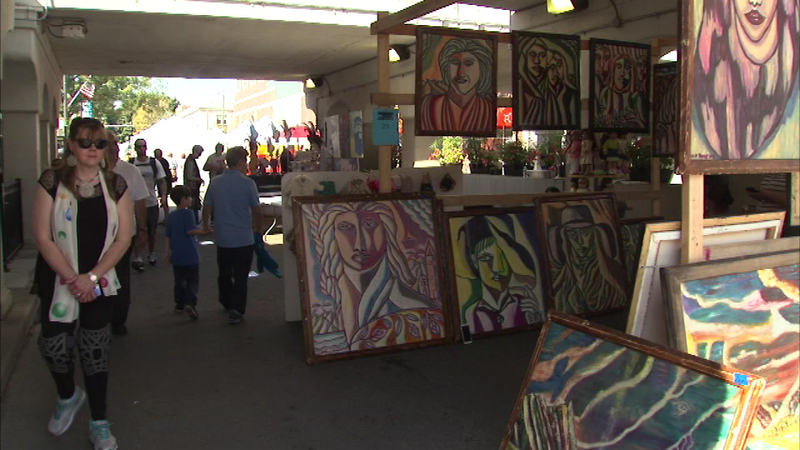 CHICAGO (WLS) -- The work of 120 Chicago artists is on display on the city's North Side this weekend for the 3rd annual Edgewater Fall Art Fair. The fair on Granville Avenue between Broadway and Sheridan features a beer garden for the adults and craft activities for the kids. Visitors are also enjoying three stages showcasing live music.